The world may be divided but you still need dividers….tabbed dividers to be precise! At KSP we have all the solutions to serve your needs! When a client was in trouble and up against a ridiculous schedule we stepped in to save the day. “Not a problem for us” we respond. We confirm the price and schedule and the client hands it over to us and can enjoy a peaceful weekend knowing that their request is in safe hands. First step is to print dividers and intro sheet onto 500 micron white polypropylene then the front covers go onto 1200 micron for that extra stability. 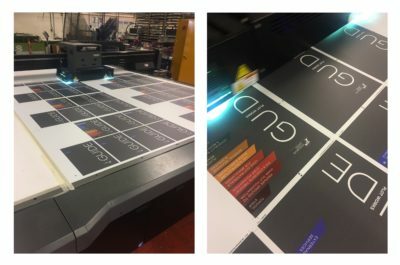 No problem for our Jetrix KX7 flatbed printer with its 3.1 metre x 2.5 metre bed which prints every printers nightmare, black tints flawlessly! Time is against us so how do we stay ahead? Easy! 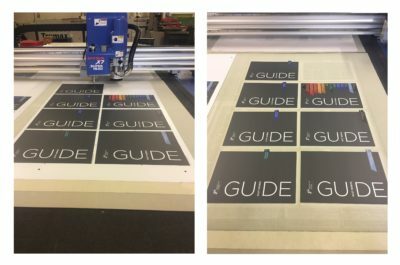 Rather than spending hundred of pounds on cutting formes, we utilise our DYSS X7 CAD cutting system to tab cut the dividers whilst the next sheets are still being printed. Nicely cut in perfect register and ready to drill. 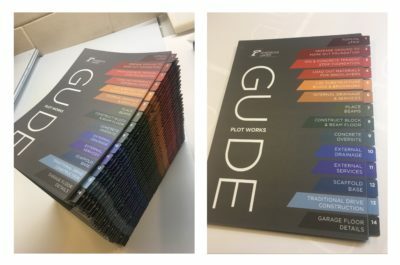 We finished the job ahead of schedule and delivered it to the clients offices a day early….after all they still had hours of work to put all of the text together with the dividers. So the advantage of using KSP and our wide array of printing and finishing equipment led to less stress and their client being completely satisfied.